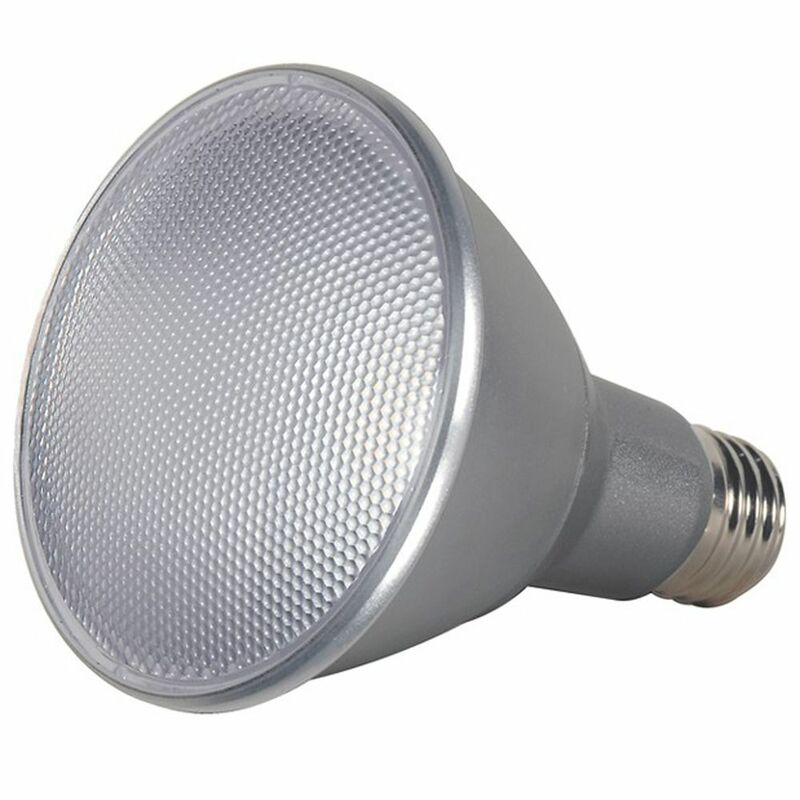 The following are detailed specifications about the Satco PAR30 Long Neck LED Light Bulb - 75-Watt Equivalent. Dimmable 11-watt Line Voltage PAR30L medium base LED light bulb. 120-volts, 25 beam spread degree, 3000 color temperature, 750 lumens, 80 color rendering index. This Satco PAR30 Long Neck LED Light Bulb - 75-Watt Equivalent is part of the $item.xCollectionName Collection from Satco Lighting. The following items are also part of the $item.xCollectionName Collection.